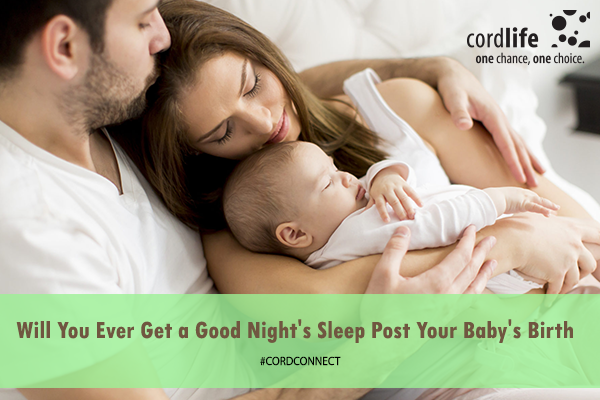 Home > Cord Connect > Cordlife India > Will you ever get a good night’s sleep post your baby’s birth? When a baby is about to arrive in this world, you seem to be the happiest person. However, everything goes upside down for you not because you do not love your baby, but your lack of physical strength to take care of everything. Sleep deprivation. And because of this, you cannot have a good night’s sleep for weeks and maybe for months. If it continues to go this way, you may have some serious health issues too, coupled with irritations. A recent poll carried out by the National Sleep Foundation accorded that 76 percent of parents are sleep deprived. This are nothing new and do not make any news for you when you have a baby. Right? Once your baby is born, sleep deprivation is most likely to go off within a short period of time. Therefore, it crops up a wide array of problems for you. It interferes with your motherhood, prevents you from taking a full care of your baby as well as your family. Sometimes, it leads to drowsy driving, which could later turn out to be fatal for you and your baby. According to The National Highway Traffic Safety Administration, an average of 100,000 car crashes takes place every year due to the drowsy mothers, while they take their babies to the pediatricians. The risk is coupled by the new mothers’ postpartum mood problems as well. Sometimes, loss of sleep is something more than the tired body. It puts an impact on your cognition as well as your ability to perform important chores. While it affects your deep sleep, it hugely impacts your dream sleep as well. You must know that dream sleep is important to get a clear vision for the next day’s musings, and it helps you have a clear understanding. At the same time, the sleep fragmentation caused due your baby throughout the whole night decreases the rate of your deep sleep. And as a result, you feel exhausted. When you have a sleep deprivation, you can compensate for your lost sleep. Take time out on your weekend, and don’t take the extra loads of responsibilities to get yourself two-three hours of sleep. But, do not go beyond this, as this develops a new sleeping pattern for you, and you are less likely to feel tired at bedtime. Don’t venture to take a more responsibilities, while your baby is taking a nap. Instead, try to refresh your mental health by taking a short nap of 20-30 minutes. Many individuals may benefit from this habit. But, do not make it later than 2 p.m., as it could interfere with your bedtime. Generally, most parents work outside the home. So, either of the parents, typically mothers take the lead to make things ready much earlier to alleviate the pressure in the morning. And hence, the round-the-clock feedings can wreak havoc on your deep sleep, and cause sleep deprivation. It is better to exchange the job role every alternate night. So, while one person does all the feeding, the other one gets full sleep. At the same, the lactating mothers can opt to compress their milk, so dads can take care of their babies. Once your baby is asleep, it does not mean, you should get out of your bed. By six months, most babies learn to sleep for as long as 7-8 hours. Put your baby in her bed, even if she cries for you. Help her not to rely on you, instead help her sleep on her own. 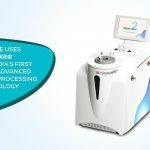 So, these are a few strategies which you can take up to alleviate your sleep deprivation and make your life post-delivery much relaxed and refreshing.